Tucked away on the south side of Hong Kong island and hidden amongst the hectic industrial buildings is the latest haven designed by Lim+Lu. Designed for a multi-talented animal-loving couple, whose hobbies include hosting painting and baking workshops, this abode offers the dwellers plenty of space for their activities as well as roaming space for their five pets. The 2600-square-foot property was previously a warehouse space. The clients asked to maintain the rawness of the space while transforming it into a family home and creative workshop space that can house the couple’s existing furniture and memorabilia they’ve collected during their travels. 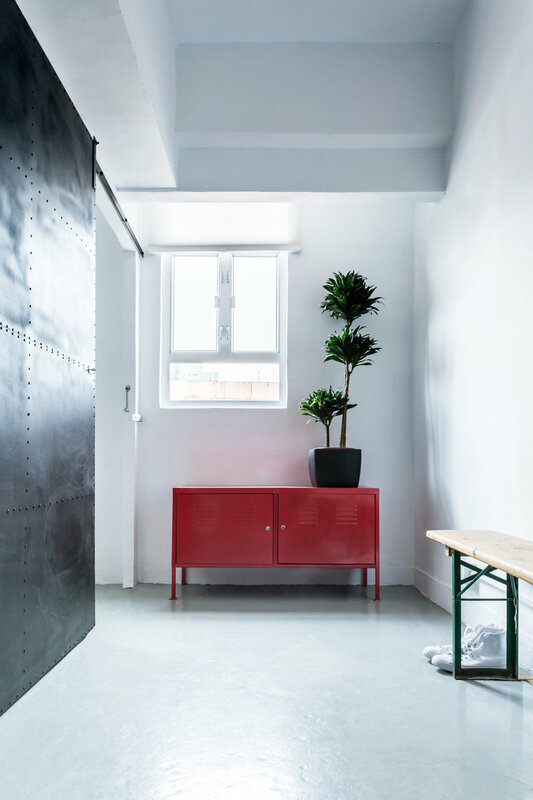 When designing a home, Lim + Lu believes that the inhabitant’s personality and character should be reflected in the space and it should tell their stories. New York is still the one place that leaves the strongest imprint for the multi-national couple who have lived in many countries before settling in Hong Kong. Both Lim and Lu can relate to this strong gravitational pull New York has to one’s heart as they lived in Manhattan for several years. The challenge for this project became creating a home that is reminiscent of the place they hold so close to their hearts, New York, in Hong Kong. Lim commented, "We design with the context in mind; being mindful of the surroundings as well as the inhabitants. In this instance, we are working with a space neighbouring many industrial complexes and a client who has a deep connection with New York. 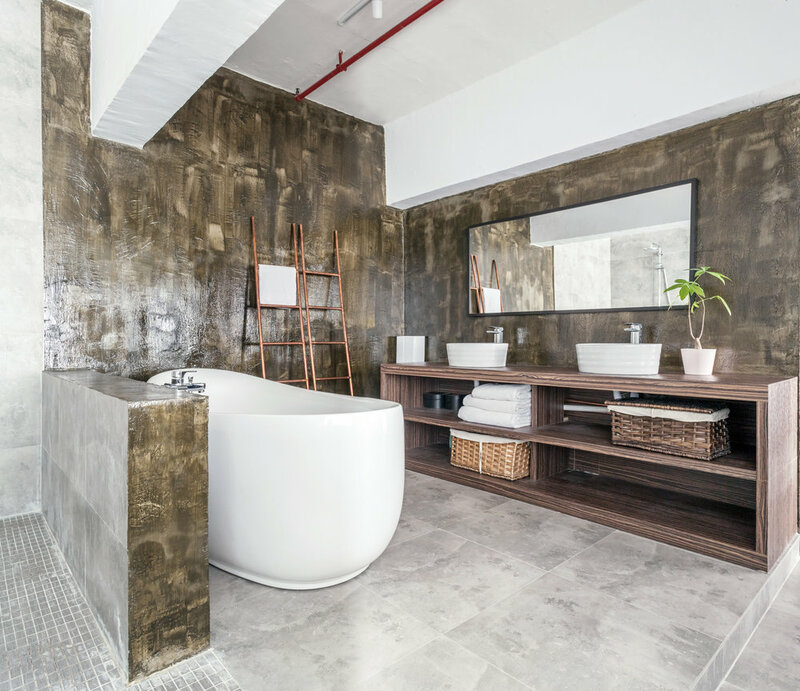 We thought this would be a perfect opportunity to harmonize western and eastern cultures.” Lu added, “We borrowed elements from the surrounding industrial neighbourhood and intertwined them with the idea of a New York loft. When inside the space, without looking out the windows, one is transported to a loft in the Lower East Side of Manhattan. When you look out, you are immediately connected to Hong Kong. 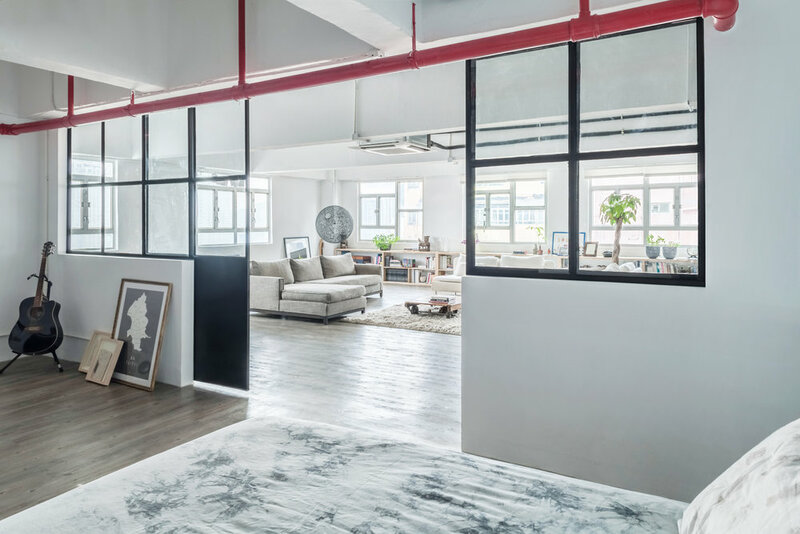 The idea of a warehouse-type New York loft in Hong Kong seems unusual yet it is perfectly fitting in the surrounding industrial environment. Originally a completely open plan with no divisions, kitchen, or bathrooms, and with windows only on one side, the space challenged Lim + Lu to strategically plan the layout for the filtration of light and facilitation of the client’s activities. Lim + Lu’s solution was to divide the space into two halves- private and public. Upon entering through a decrepit factory door that was left untouched from its factory days, you are greeted by a minimal vestibule containing only a bench and a shoe cabinet. Peeling back the adjacent industrial sliding door will reveal a painting workshop space populated with supplies. For the client’s privacy when they hold workshops, it appears that there is nothing more to the unit than the workshop at first glance. However, at closer observation, one is offered a glimpse into the hidden apartment through the window on the back wall of the work space. Peeling back the second sliding door exposes a spacious and light-filled living space that is hard to find in Hong Kong, where space is often limited. Because the clients are highly social creatures who enjoy hosting cooking classes and dinner parties, the public spaces where classes are held, such as the workshop and the kitchen are located closest to the entrance. 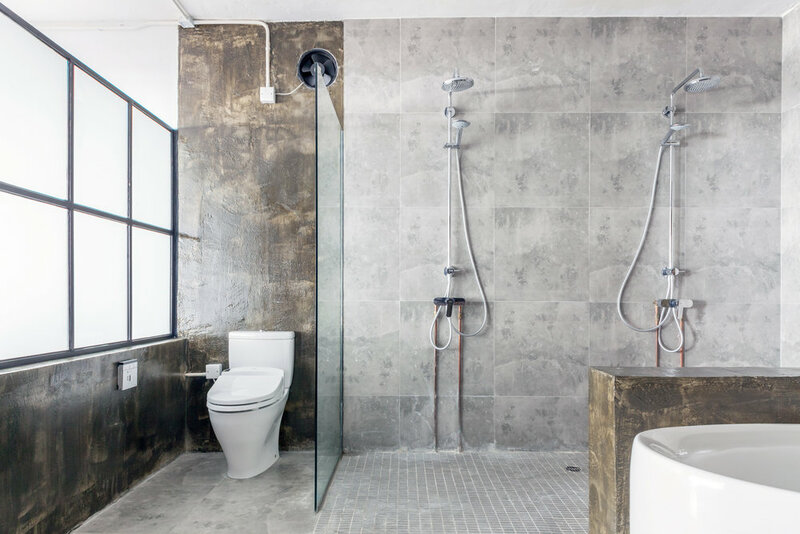 To ensure the most privacy, the more intimate spaces, such as the bedroom and the master bathroom, are located furthest away from the main entrance. Due to the lack of windows in the private half of the loft, Lim + Lu incorporated steel and glass sliding doors to bring sunlight into the bedroom and the master bath. The doors, when completely open, allow for the private and public spaces to come together seamlessly as one.